Fine quality and handmade, the Lapplander 95 is a premium hunting knife that looks and feels the part. It has a cold rolled special Swedish stainless steel blade with a scandi grind and polished finish. 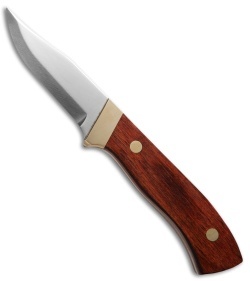 The full tang blade is outfitted with laminated hardwood scales and polished brass bolsters. 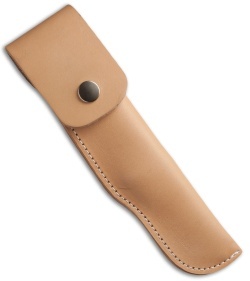 A premium leather sheath accommodates belt carry.